If you’re a casino player and you’re really determined to beat the house then you’re going to need a great strategy and, perhaps more importantly, a lot of self-discipline. And it’s on this latter requirement that most people fail. Setting up the strategy that you’re intending to follow is the relatively easy part – sticking with it is harder. First off, you need to play games that aren’t purely about chance and this rules out almost all online or real casino games. Remember that casino operators have built their fortunes on the slimmest of house edges as punters come in their millions in the hope of beating the house edge over time. And this simply can’t be done according to the laws of probability on any game of pure chance. The only exceptions to this rule are where there’s some kind of glitch on the system like a mechanically imperfect roulette wheel (as discovered by the legendary Englishman who became even more of a legend in song as the man who broke the bank at Monte Carlo) or where you get plain lucky. But on the latter count, you aren’t really beating the system, you’re simply winning against the odds and this is perfectly possible in a one-off situation. If you bet on a single roulette number, for example, and it comes up and you then walk away pocketing the winnings then great; you’re a winner against the house edge and that’s that. If, however, you play on long enough (and even if you keep doubling your stake as suggested by some ludicrous so-called gambling “systems” which you should never, ever follow, by the way) then you will lose; it is inevitable because the maths don’t lie. You can, however, beat the house at certain games involving various gamblers’ judgement calls such as poker and roulette. If you’re a good enough poker player and your strategy is good, you can overcome the house’s take as, without this “rake”, you’re simply playing against other players (and you can still do tis via poker tournaments online of course). 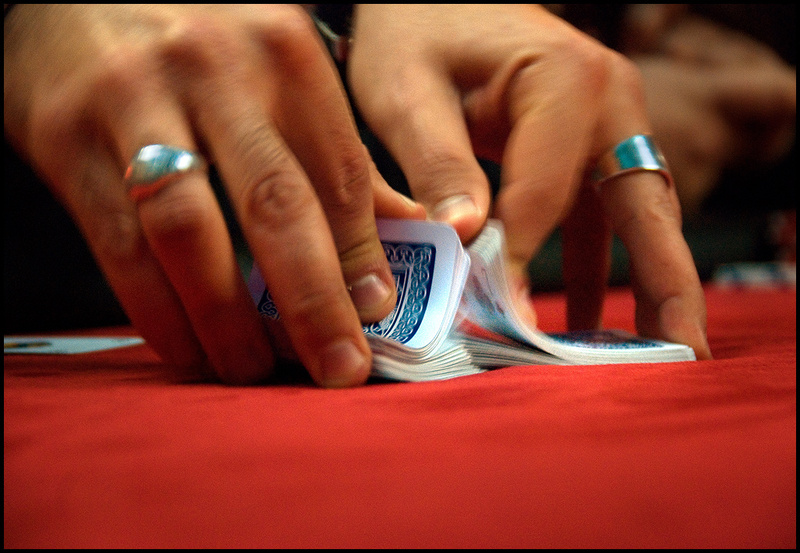 With blackjack, only a strict card-counting strategy can really help you beat the house edge and, if you’re caught doing it for long enough in a real casino, they’ll boot you out. With online versions, of course, it doesn’t work as each deal is a completely new one, but if you play a steady system at blackjack, you have more of a fighting chance than with other casino games. Of course, in the online era, there are lots of websites offering great bonuses so if you make the most of these then play the best percentage games you can find, you have a fighting chance of coming out ahead – but only if you have the self-discipline to make yourself quit early enough during the game’s proceedings. So there we are – the simple answer to the question of whether or not you can ever beat the house is a “no” – if you play on long enough. But you can sometimes beat your fellow players along with the house rake at poker. Otherwise, you’re going to simply have to get lucky!